The finish comes packaged in a metal one gallon, standard solvent can with a child resistant cap and metal top handle. 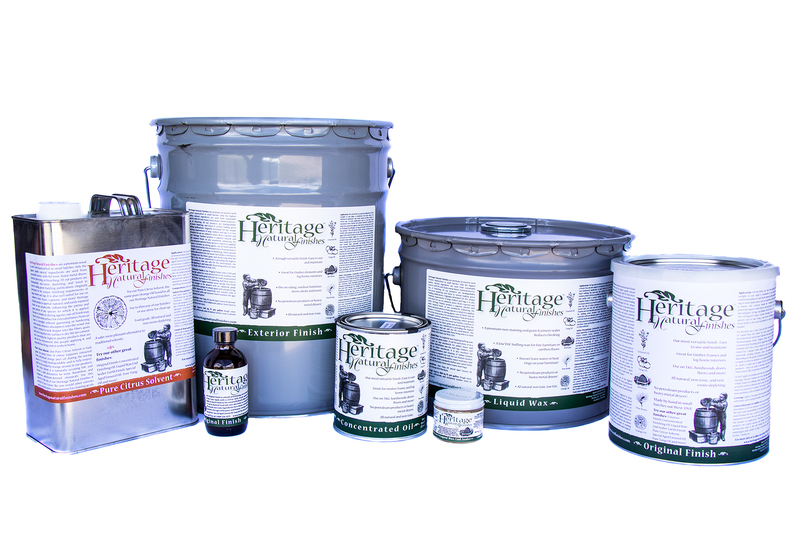 The finish comes in a one-gallon epoxy lined metal paint-style can with metal handle and lid lock ring. Coverage about 350 sq. ft./gal. on the first coat and more on the subsequent coats. Our four primary natural oil finishes: A 4 oz. 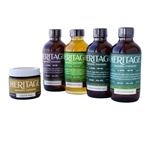 glass bottle each of Original Finish, Exterior Finish, Concentrated Finishing Oil, and 2 oz. of Liquid Wax End Sealer. Ships via USPS Ground. Contact us for more accurate shipping quotes than shown here. Packaged in a 5 gallon epoxy-lined steel pail with pour spout in the removable lid. $103.60/gal. NEW! This is our newest product designed with Zero VOCs, all natural, non toxic, penetrating oils and wax for a finish you can use anywhere safely. It is food safe once dry, so you can use it on counters, butcher block, cutting boards, bowls, spoons, toys and more. Proven protection and lasting beauty all as safely as possible! Packaged in a fully recyclable glass bottle. This is our Original Finish with an added mildewcide and UV protector. Use anywhere outside! Packaged in a 3 gallon steel pail with a pour spout top in the lid. Coverage about 350 sq. ft./gal. on the first coat and more on the subsequent coats.